Fernando S. Mendoza is a professor in the Department of Pediatrics and associate dean of Minority Advising and Programs at the Stanford University School of Medicine. His research has focused on health disparities among Latino and immigrant children, and on issues of workforce diversity in health care. 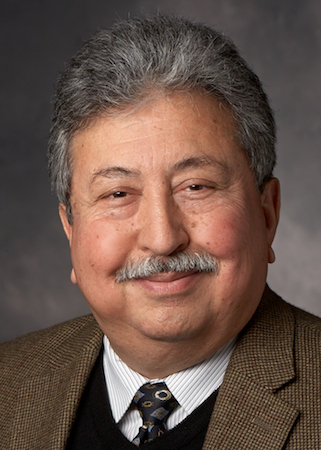 In the former, utilizing national and state health surveys, he has published articles on health care access, utilization, and disease prevalence among Latino and immigrant children. His current interests are in health care access for children of undocumented parents, and the health impact of parental separation on children in immigrant families. Dr. Mendoza has served as Associate Dean (1983-present), Division and Service Chief for General Pediatrics at the Lucile Packard Children’s Hospital (1996-2014), Director of the Stanford Academic General Pediatric Fellowship (1997-2012), and the principal investigator for the Stanford School of Medicine’s Center of Excellence for Diversity in Medical Education (1992-present). He has been a member of a number of national committees, including the Institute of Medicine committee on Health and Adjustment of Immigrant Children and Families (1996-98), the American Academy of Pediatrics’ Committee on Bias and Discrimination (2017), California Health Interview Survey (CHIS), Child Technical Advisory Committee (chair), 1999-2016, and the National Advisory Council for the National Institute of Minority Health and Health Disparities (2016-2020).